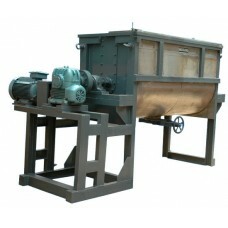 Pug Mixers are similar to ribbon blender except for the blade configuration. These mixers are also called as the paddle mixer. They are used for numerous processes including compounding, fine mixing, dispersing, suspending, emulsifying, deaerating, tempering, accelerating chemical or physical reactions, granulating, breaking down agglomerates. 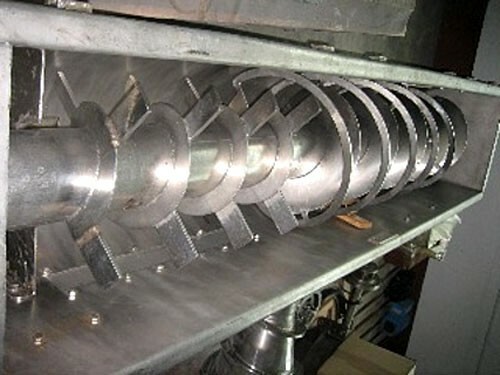 Pug Mixer consists of several elements: a centrally mounted horizontal shaft that rotates within a cylindrical container, paddles, ploughs or other shaped mixing elements that are attached to the centrally mounted shaft, special openings at the top for feeding materials, flush fitting access doors at the front of the mixer, a flush fitting discharge valve at the bottom of the mixer, which is pneumatically or manually operated, inside a cylindrical conduit and a complete drive unit. These are horizontal mixers utilized for blending dry material, powdery granular, short fibered, moist solids and liquids together with pasty substances up to and including highly viscous masses.